Shoebuy has been one of the favorite shoe merchants on Sunshine Rewards since we started over 11 years ago. Because of that, I wanted to draw your attention to the fact that they have undergone a big change in the last month. After Shoes.com went out of business, we removed them from SR. 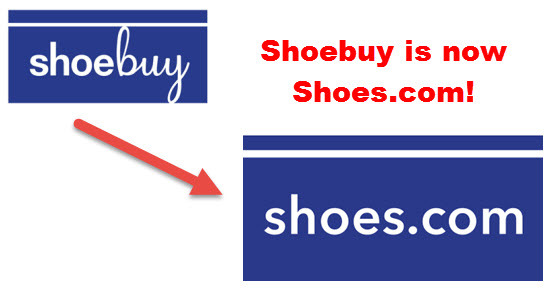 However, Shoebuy has since announced that they have now rebranded as Shoes.com! So if you are looking for the old Shoes.com, it is gone. If you are looking for Shoebuy, you'll now find it at Shoes.com. Confusing but hopefully not all that important as long as you are still getting the same great brands at prices you want! The new site does have free shipping with no minimum as Shoebuy did and it looks like they are going to continue having big percentage off deals (right now their site is showing 25% off with code MOVINGDAY).